Re-live the magic of the classic grand tours of Europe on this fabulous 11 night holiday which captures the quintessential Italy, contrasting the Eternal City of Rome, Renaissance Florence and the romanticism of Venice. 11 night holiday by First Class rail on daytime trains throughout travelling via Zurich and Montreux including 3 nights each in Rome, Florence and Venice from $2,499 per person. 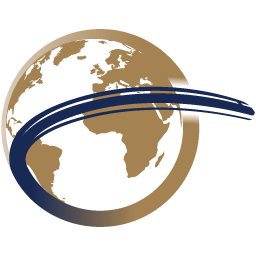 Alternatively, travel on daytime trains via Turin and Milan from $2,379 per person. You begin your ‘Grand Tour’ as you enter the spectacularly restored St Pancras International station. Stroll beneath the station’s wondrous arched-glass roof before you relax in your Standard Premier Class seat on board the Eurostar on your journey through to Paris. As you arrive into the Gare du Nord you are greeted by your private taxi driver at the platform end, who will transfer you through Paris to the Gare de Lyon. Here you board your comfortable TGV service for the onward journey through the changing French and Swiss countryside and past quaint rural towns and villages before you arrive into the attractive lakeside city of Zurich. As you exit the station it is a brief stroll (600 yards) to the stylish Hotel Continental (4 star), ideally situated on the banks of the Limmat River and your hotel for the night. This morning you have the opportunity to take a tour of Zurich and its main sights, which are clustered along the banks of the River Limmat. You might like to start at Zurich’s main station (Hauptbahnhof), journey down through the historic centre, towards Lake Zurich. Sights of interest include the Old Town, with its burgher houses and churches and the baroque Rathaus (Town Hall). 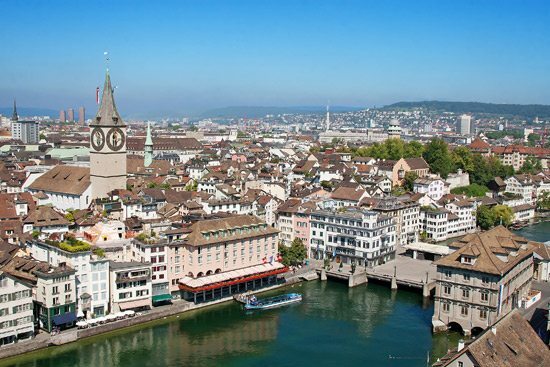 Perhaps the most iconic landmarks in Zurich are the four main churches, the Grossmünster, Fraumünster, the city’s oldest, St Peterskirche and St. Peter – which boasts the largest clock face in Europe. As you return to Zurich station, prepare yourselves for the scenic journey along the impressive Gotthard route through the Swiss Alps. The line transports you through picturesque scenery, climbing to the foot of the snow-capped Alps and through the Gotthard Base Tunnel, the world’s longest tunnel and a marvellous feat of engineering, which opened fully in December 2016. 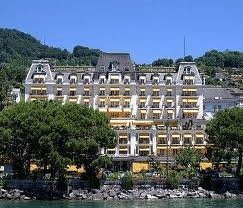 You soon emerge and continue across the Swiss border and through the outstanding Italian Lakes before arriving in Milan. You change trains at Milan’s majestic art-deco station where you join the comfortable Eurostar Italia Frecciabianca service for the onward journey to Venice. Savour the moment as you exit Venezia Santa Lucia station and you enter the strange timelessness and other-worldly quality of Venice. Here you travel in ultimate style along the Grand Canal and through the Venetian backwaters in your private water taxi to your hotel for the next three nights, the Hotel Ai Mori d’Oriente (4 star), well-located just a short walk from the Rialto Bridge, with its beautiful design and welcoming atmosphere. 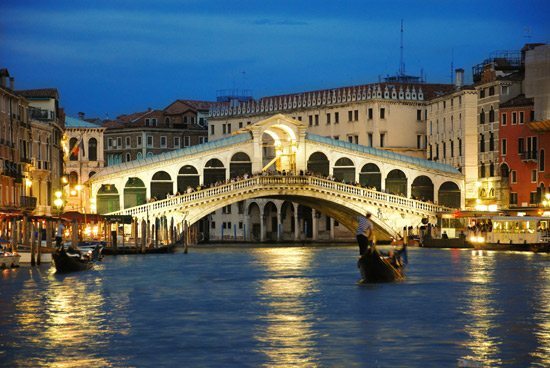 Embrace the magic of Venice and become fully immersed in the spirit of the city as you wander amid the mosaic of intertwined canals and bridges. 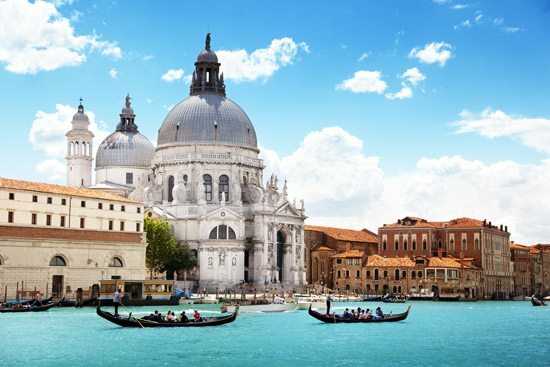 You might like to start your adventure at St. Mark’s Square, past the symbolic Doge’s Palace and explore the hidden waterways and Grand Canal in elegance from the comfort of a traditional gondola. Perhaps choose to spend more time casually wandering past Byzantine basilicas and painted palazzi or journey across more of the UNESCO World Heritage Venetian lagoon to discover the attractive islands of Murano and Burano, famous for their glass blowing, lace and coloured houses. 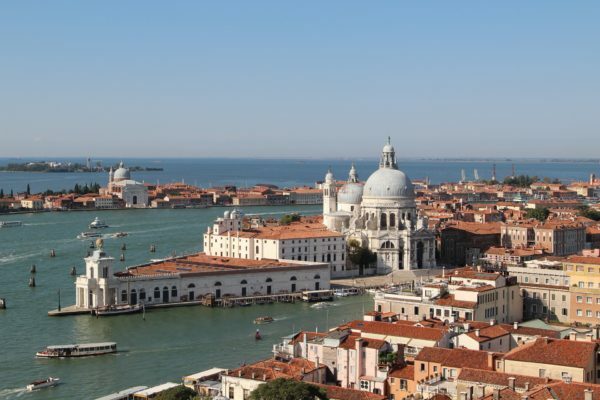 Savour your final morning in Venice before making the journey back to Venezia Santa Lucia station for your First Class journey south on board the Eurostar Italia Frecciargento service to Florence. On arrival at Firenze Santa Maria Novella station stroll to the stylish Hotel Santa Maria Novella (4-star), just 300 yards from the station and your hotel for the next three nights. a triumph of architecture and engineering before visits to the world renowned Uffizi Gallery and the iconic Medieval closed-spandrel segmented arched bridge, the Ponte Vecchio. 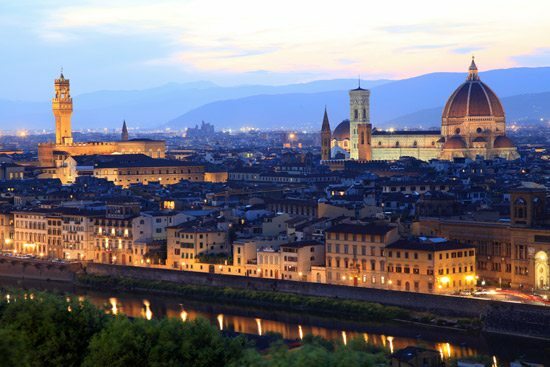 Enjoy traditional Florentine and Tuscan culinary delights or take a trip through Tuscany’s rolling hills, one of Italy’s most romanticised regions. From Siena’s UNESCO world heritage medieval centre to Pisa’s famous leaning tower and Lucca’s Renaissance-era city walls it is good to know that these fascinating attractions are easily accessible by train. Take your leave of Florence as you depart from Firenze Santa Maria Novella station and join the Eurostar Italia service to the eternal city of Rome. Relax in your comfortable first class seat as the landscape of central Italy unfurls before you. 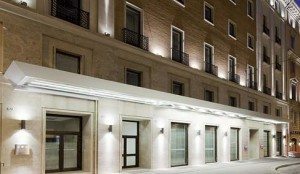 As you arrive into Roma Termini station it is just a short walk to the comfortable, highly-rated and recently refurbished UNA Hotel Roma (4 star), your hotel for the next three nights. The Eternal City of Rome encompasses architectural wonders from classical ruins, Renaissance palazzi and Baroque fountains with a modern touch of quirky shops on the Via del Corso, lively bars and rustic trattorias. A trip to Rome would not be complete without a visit to the city’s celebrated sights from the Trevi Fountain to the Spanish steps, the Vatican City to the Coliseum. Take time to marvel at the Sistine Chapel and Michelangelo’s painted ceiling – a masterpiece of High Renaissance art, which will provide lasting memories, as will the view from the top of St. Peters Cathedral across Rome’s seven hills cityscape. You have the opportunity to experience the brand new “Vatican Tour and the Papal Train to Castel Gandolfo”, which is the first time the Vatican train station has offered a regularly scheduled passenger train. 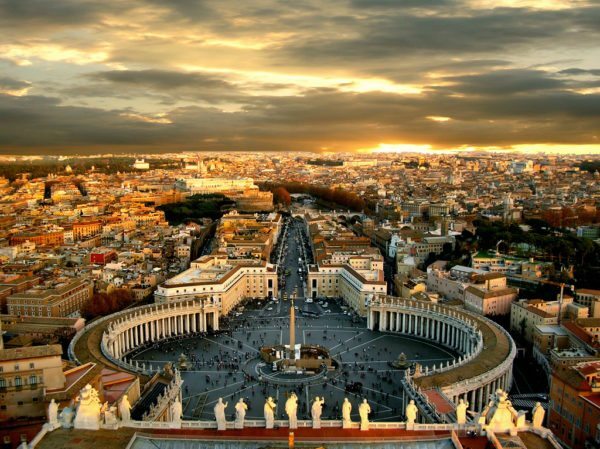 This unique sightseeing and train tour begins with a visit to the Vatican, where you are given priority entrance to the Vatican Gardens and Vatican Museums, including the incredible Sistine Chapel. From here you make your way to the white-marbled railway station and travel along the 984ft Vatican railway line – the shortest in the world – into Rome. You then cross the Tiber and travel through 20 miles of Italian countryside and onto Albano Laziale in the Alban hills. Here you are transferred by shuttlebus to the sumptuous Pontifical Villas in Castel Gandolfo, which have traditionally served as the Papal Summer Residence, before returning back to Rome this evening. Please Note: Alternatively, you have the option to tour the Vatican Gardens and Vatican Museums at the end of your tour. 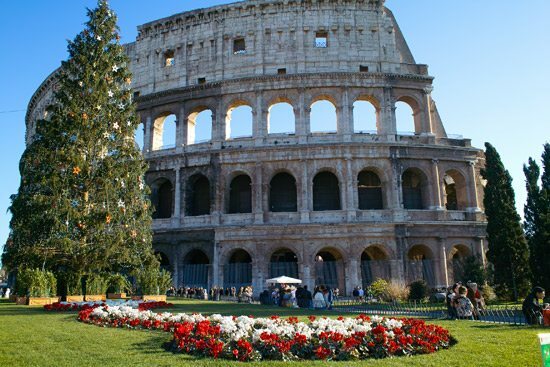 This morning after breakfast bid farewell to the Rome as you join your first class service aboard the Eurostar Italia Frecciarossa train for the journey north to Milan. Relax and admire the changing scenery as you cross the Apennine Mountains before you change trains in Milan for the Euro City service across the Simplon Pass for the spectacular journey through the Swiss Alps, on to sparkling Lake Geneva and the idyllic lakeside town of Montreux. Your hotel for the night is the belle époque Grand Hotel Suisse Majestic (4-star) located directly across from the station. Make the most of your stay by taking a lakeside stroll this evening, enjoy the refreshing breeze and stunning scenery as the sun begins to set. You awake this morning in a truly spectacular setting surrounded by vineyards, nestled beneath a backdrop of snow-covered Alps. You may have time to further explore the attractive Old Town, with its fresh panoramic views around almost every turn. Alternatively take a charming stroll along the flower bedecked promenade (or take the free trolley bus) to the historic Château de Chillon (payable locally). 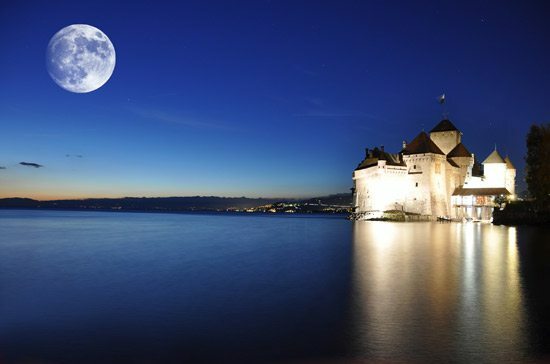 Discover the castle’s vast history and admire the 14th century wall paintings, subterranean vaults and parade halls, all the while you gaze in awe at the looming mountains from the rocky banks of Lake Geneva. Then make your way back to Montreux station for your onward journey by the Inter Regio service to Lausanne where you change trains for the super-fast TGV journey back to Paris. Take this opportunity to relax as you reminisce on some of the highlights of you ‘Grand Tour’ before your train arrives at the Gare de Lyon. Your private taxi transfer whisks you back across Paris to the Gare du Nord for the final stage of your journey by Eurostar to London. Enjoy your at seat meal and drink service in Standard Premier Class as the Eurostar service reaches speeds of nearly 200 mph, before you arrive back into London St. Pancras and the final stage of your homeward journey. 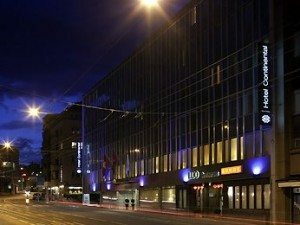 The Hotel Continental Zürich (4-star), formerly Sofitel Zürich and part of the MGallery collection, provides a real taste of life in downtown Zurich. The hotel is ideally located just 5 minutes from the main train station and the shopping area on Bahnhofstraße. This smart hotels has a unique, Swiss chalet-inspired decor throughout and benefits from 2 restaurants, a bar, garden and lounge. 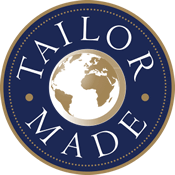 All 138 en-suite rooms enjoy decor which evokes warmth and coziness and feature shower, bath-tub, WC, air-conditioning, international satellite TV, telephone, WIFI, minibar, tea and coffee facilities and a safe. The Hotel Santa Maria Novella is an extremely stylish, welcoming hotel offering excellent levels of comfort and service. 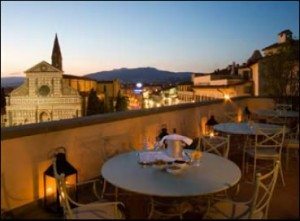 Enjoying an ideal location right next to the delightful cathedral and only a few hundred yards from the station, both of the same name, it also benefits from its proximity to Florence’s fabulous ‘centro storico’. Each of the hotel’s 34 beautifully crafted rooms is unique and boasts elegant, tasteful furnishings, including carrara marble bathrooms, wooden floors and sumptuous textiles. The new Una Hotel Roma (4-star) is ideally set in the centre of Rome, close to Roma Termini station. This stylish, contemporary hotel features modern design and clean-lines with elegant Art Deco influences. All of the hotel’s 197 en-suite rooms have spacious, bright interiors decorated in a minimalist style and equipped with Wi-Fi access, wood furnishings, high-quality linens and an LCD TV. The hotel benefits from its own restaurant and bar.